Eurolanche Fan Club did the exclusive interview with the new Colorado Avalanche goaltender Reto Berra about his hockey career and recent news in his life. 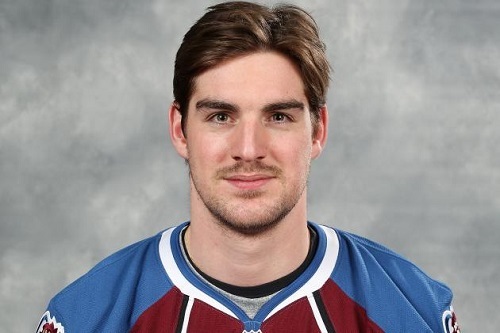 Reto Berra was born in 1987 in Switzerland and became NHL goalie just one year ago. Before he decided to try the best hockey league in the world he was a goalie in the elite Swiss league for 8 seasons for 5 different teams. Berra reached the best moments of his European-part career in the last four years when he was number one goalie for EHC Biel and was named the best goalie of the elite league in 2011/12 season. In spite of he was already drafted in 2006 by St. Louis Blues of the fourth round he decided to keep playing in his home country until the last year. Meanwhile, his originally team Blues traded their rights on Berra to Calgary Flames. He flow to North American before this season and played first 9 games in the AHL. 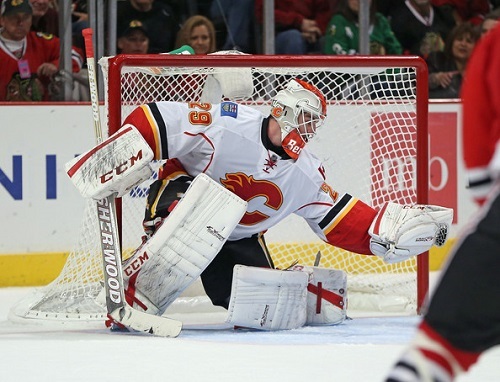 Reto made his NHL debut in Flames jersey in November making 42 saves in a win against Chicago Blackhawks. In total, he played in 29 games for the Canadian team and won 9 of them. 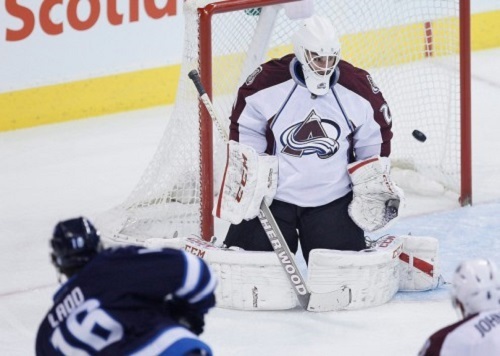 Berra was traded during the trade deadline on March 5, 2014 to Colorado Avalanche for a second round pick. He played one full game for the Avs and appeared in another, but was replaced by Jean-Sebastien Giguere after allowing two early goals in the first period. Before his Avalanche debut, his new employer has signed new 3 year deal with him. He is expected to become new Avs backup for the next season. Reto´s most successful moments happened on the international level when he represents Switzerland at two World Junior Championships and last three consecutive World Championships. At 2013 tournament, he won all of his 4 games including semifinal duel against USA. His GAA was 1.00. Switzerland got a silver medal, their first from the tournament over the last 60 years. He played at one Olympic game in Sochi – Sweden beat his country 1:0. The interview was done by email and Reto got the questions before his second appearance for the Avs. Reto, according to your own quotes you weren´t satisfied with your first game for the Colorado Avalanche. What went wrong? First game was OK, but I felt not that passion like I do normally! Did Patrick Roy or Francois Allaire tell you something concrete that you should improve? Yes, Francois has exactly a plan how a goalie should play, so he shows me that stuff. Join the Eurolanche via this form and become a part of the biggest European Fan Club of the NHL team. You will get membership benefits without any charge. If you would like to get regular newsletters including information about upcoming meetings, contests and trips to Denver, don´t forget to add your email address during the registration process. What is the key person in the communication with your about your practice? Patrick or Francois? How did you find out that you were traded to the Colorado Avalanche and what was your first feeling? When I got traded I was really happy :). I think it is great for my game and my career. Did you hear about the Avalanche interest in you before from your agent or it was big surprise? It must be good feeling to get new contract very soon after the trade, isn´t? Yes, I am happy and looking forward to great years here in Denver. What is your own view of your future with the Avalanche? I just want to improve and bring my game to another level. Have you thought about a possible chance to play in the playoffs yet? I think I am clearly 3rd goalie for the playoffs, but you know how it is – you never know, everything can happen, so I want to keep going work hard and be ready. What is your relationship with Semyon Varlamov and Jean Sebastien Giguere? They are two great goalies and awesome people. They were really nice and helpful when I got here. Your trade to Denver likely means the team won´t resign a veteran Giguere. Did you both talk about this impact yet? Why did you choose to stay in Europe after your draft year? Firstly, I wanted to finish school, secondly I wasn't ready that time. How do you remember on your career in Switzerland? What is your most memorable moment of this part of your career? There were a lot great moments, but I think a win of the silver medal with Switzerland (at WCH) last year was really special. What was your favorite NHL team and a player when you were a kid? I just liked all the goalies like Roy, Hasek, Potvin. Did you watch David Aebischer? What caused your decision to go finally to the NHL? First of all you need a team, a chance. So when I heard about Calgary wants to sign me, there was no question for me, it´s my dream. How do you remember on your AHL experience? Can you compare it with NHL and European hockey? NHL is the best ;). It´s different, especially in Europe with the bigger ice. In Switzerland everything is close, you never fly you always just travelling with a bus. How do you remember on your first NHL game? Oh, it was amazing. I just got called up and next day I played at madhouse Chicago. We won 3:2 in OT and it was one of my best games in my life so far. It was great. How do you rate your brief career with Calgary Flames? I had a great time in Calgary, met good people and I am thankful they gave me the opportunity to make my first step in the NHL. WCH 2013 was probably your best career success, isn´t? How do you remember on this tournament? Yes, it was unbelievable. We won our first 9 games, than we lost game nr. 10 in the final. It was great for whole Switzerland to bring home a silver medal. 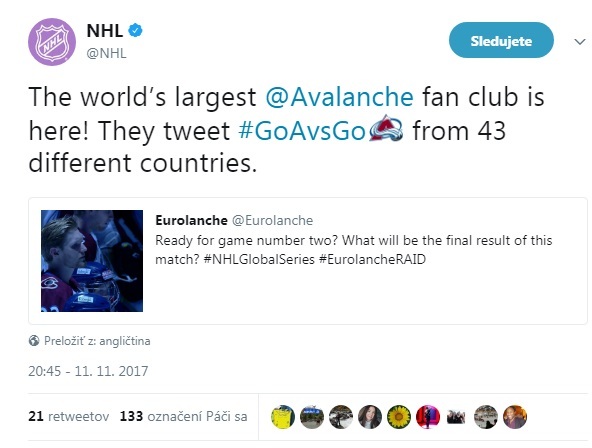 There are many European fans who watch the Colorado Avalanche hockey in the night from their homes. Do you have some message for them? You guys are great. The fans are the most important part of the Colorado Avalanche, so thank you guys! Don´t miss another exclusive Eurolanche´s interviews with the former and current Colorado Avalanche players and other interesting people at this link.